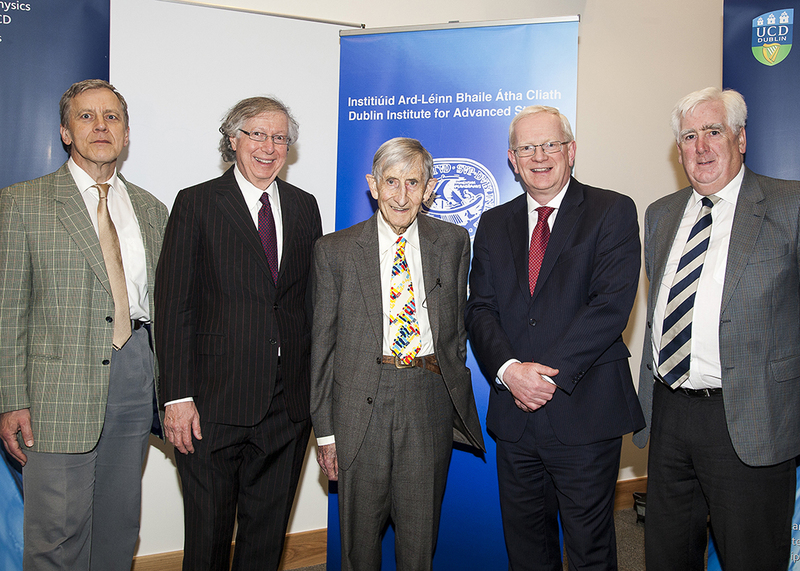 On Monday, I attended the Statutory Lecture of the School of Theoretical Physics of the Dublin Institute for Advanced Studies (DIAS). This is an outreach lecture presented annually by DIAS and this year the lecture took place at University College Dublin. Better known abroad than at home, the Institute has a long and distinguished history of world-class research in fundamental areas of physics (see here), so it was entirely appropriate that the statutory lecture was given by Freeman Dyson, renowned physicist and Professor of Physics at the famous Institute for Advanced Study at Princeton, the college on which DIAS is modeled. We know that creatures like us have two separate systems for processing information, the genome and the brain. We know that the genome is digital, and we can accurately transcribe our genomes onto digital machines. We cannot transcribe our brains, and the processing of information in our brains is still a great mystery. I will be talking about real brains and real people, asking a question that will have practical consequences when we are able to answer it. I am not able to answer it now. All I can do is to examine the evidence and explain why I consider it probable that the answer will be that brains are analog. I won’t give more details as Professor Dyson will publish his paper on the subject quite soon. Suffice it to say that tickets for the lecture sold out days in advance and there was quite a buzz on the night. Freeman held the audience spellbound, reading from his paper without the benefit of a single slide. One could gauge the interest generated from the huge number and variety of questions afterwards. That said, I couldn’t help noticing that the Irish media took no interest whatsoever in the occasion – one wonders if a world-famous musician or celebrity chef would be similarly ignored. After the lecture, some of us retired to a nearby hotel where Professor Dyson and his wife regaled us with stories from his long and interesting career. Freeman was a close colleague of my late father and was instrumental in bringing Lochlainn and the rest of our family to the Institute for Advanced Study at Princeton many years ago (after this, Lochlainn returned to Ireland to take up a position at DIAS). So it was great to encounter Professor Dyson once again, this time as an adult! Not to mention that Freeman has fascinating and original views on a wide range of topics; from space travel to climate science, he remains a truly deep and original thinker. 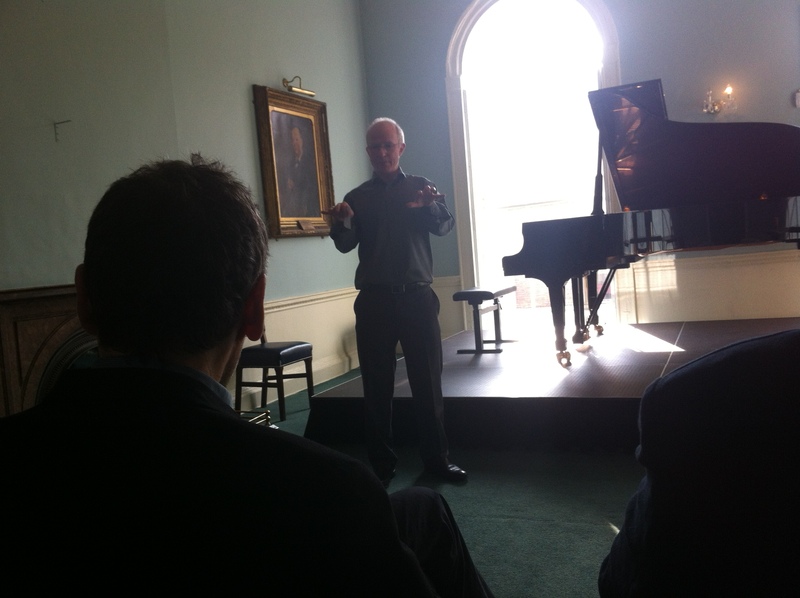 The day after the lecture, staff and friends of the Dublin Institute for Advanced Studies were treated to a private recital by the well-known Irish pianist Hugh Tinney. The connection is that Hugh’s late mother, Professor Sheila Tinney, was an accomplished mathematician who spent time at Princeton IAS and studied with Professor Dyson (Hugh himself studied maths at Trinity College Dublin before deciding on a career in music and was in the audience for Freeman’s lecture). It was an extraordinary occasion. Hugh played beautifully and each piece was prefaced with a short discussion of the interface of mind, memory and music. The intimate setting made for one of the most exciting concerts I have experienced, far more fun than a formal venue such as the National Concert Hall. It didn’t hurt that the programme included three of my all-time favourite works, Beethoven’s ‘Moonlight’ Sonata, Schubert’s G major Impromptu and *that* Nocturne by John Field (no.5 in B flat). 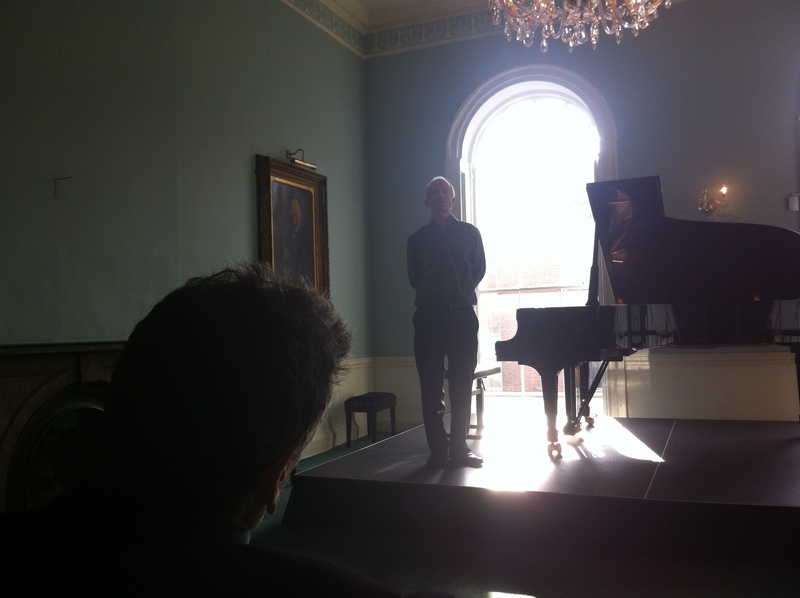 The recital also had a special significance for me as it took place in the Organ Room of the Royal Irish Academy of Music, a venue I spent a great deal of time in as a young music student. P.S. A video of Freeman’s lecture is now available on the DIAS website. I very much enjoyed reading this report of your experience at what strikes me as a significant scientific-cultural event. I am a 71 year-old semi-retired college professor (and electrical engineer); and I have been fortunate enough to have had a wonderful career teaching philosophy of science. 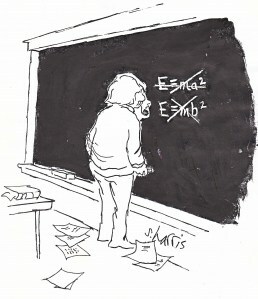 In the late 1960’s, when I was a graduate student, I attended a weekly seminar at the IAS on the theory of measurement. To a young schnook like me, the sheer concentration of scientific luminaries in the room was quite overwhelming. Nevertheless, on one particular Thursday night I summoned up enough courage to ask a question (I no longer remember what it was) which seemed to me to get to fundamental problems. My query was directed toward the speaker that evening, who happened to be Patrick Suppes. Although he offered a serious and engaging reply, my student-level insecurities were enough to make me fear that I had made a complete fool of myself. This feeling persisted until the end of the evening’s scheduled activities. As people were milling about, some leaving the room, others standing in groups of two or three pursuing various points which might or might not have been raised, a smiling, rather thin man wearing a suit and vest and topped off by a head of dark hair in a very conservative English-style haircut extended his greeting hand to me, and said, “Hi. I’m Freeman Dyson.” For the next 20 minutes or so, Professor Dyson shared with me the fact that he had been thinking along the same lines as my question, that the inquiry I was pursuing entailed certain logical consequences of a unique and distinctive sort, and that he encouraged me to follow my intellectual inclinations on the matter, even though others might regard them as somewhat outside the prevailing conventions. I thus experienced first-hand a sample of the great pedagogic and intellectual personality of a man who has become a legend in modern physics, and who is rightly regarded as something of a living treasure in the world of science. He has spent a lifetime investigating and often inaugurating promising new ideas, and has been both generous and tireless in urging others to do the same for the sake of the advancement of human knowledge. It was therefore a personal pleasure for me to read your report of an event organized by a major center for theoretical research to honor and pay much-deserved tribute to a very rare, great and good human being. Many thanks for that interesting comment and yes, that sounds exactly like Freeman! He told me on Saturday that his favourite part of any talk is question-time and I think many scientists share this view, whether in the audience or on the podium. It is often the questions that really bring out what the speaker thinks, so for that reason alone one should never hesitate; another reason is that the same question will probably have occurred to many others in the audience, for logical reasons. That said, only some scientists and philosophers have that special gift of sharing knowledge at the highest level with the rest of us in language we can understand, and you’re right, Professor Dyson belongs firmly in that category! “People who are good at maths are good at most things!” Mathematical ability and literary ability have a positive correlation with IQ. It might be interesting to investigate the range of talents of G. H. Hardy and Littlewood as compared to the range of talents of Thomas Hardy and D. H. Lawrence. My guess is that, compared to analysts and algebraists, geometers and topologists have above-average talent for drawing and sculpture.